To claim this profile, please confirm you are Micahla Funderburk. To follow this profile, please let us know your relationship to Micahla Funderburk. Micahla's basketball stats have been updated for the loss vs. West Forsyth. RESULTLoss Girls varsity basketball vs. West Forsyth. The David W. Butler varsity basketball team lost Saturday's neutral playoff game against West Forsyth (Clemmons, NC) by a score of 57-39. Micahla's basketball stats have been updated for the win vs. Ragsdale. RESULTWin Girls varsity basketball vs. Ragsdale. The David W. Butler varsity basketball team won Tuesday's home playoff game against Ragsdale (Jamestown, NC) by a score of 62-56. Micahla's basketball stats have been updated for the win vs. Ardrey Kell. RESULTWin Girls varsity basketball vs. Ardrey Kell. The David W. Butler varsity basketball team won Saturday's home playoff game against Ardrey Kell (Charlotte, NC) by a score of 54-48. Micahla's basketball stats have been updated for the win vs. High Point Central. RESULTWin Girls varsity basketball vs. High Point Central. The David W. Butler varsity basketball team won Thursday's neutral playoff game against High Point Central (High Point, NC) by a score of 67-36. Micahla's basketball stats have been updated for the win vs. Hickory Ridge. RESULTWin Girls varsity basketball vs. Hickory Ridge. The David W. Butler varsity basketball team won Friday's neutral conference tournament game against Hickory Ridge (Harrisburg, NC) by a score of 56-51. Micahla's basketball stats have been updated for the win vs. Myers Park. RESULTWin Girls varsity basketball vs. Myers Park. The David W. Butler varsity basketball team won Thursday's neutral conference tournament game against Myers Park (Charlotte, NC) by a score of 53-44. 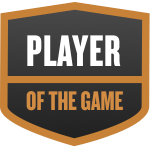 Micahla was selected the Player of the Game in the basketball game against Garinger on Tue, Feb 19 2019. Micahla's basketball stats have been updated for the win vs. Garinger. The David W. Butler varsity basketball team won Tuesday's neutral conference tournament game against Garinger (Charlotte, NC) by a score of 72-14. Micahla's basketball stats have been updated for the win @ East Mecklenburg. RESULTWin Girls varsity basketball @ East Mecklenburg. The David W. Butler varsity basketball team won Friday's away conference game against East Mecklenburg (Charlotte, NC) by a score of 78-23. The David W. Butler varsity basketball team won Tuesday's home conference game against Garinger (Charlotte, NC) by a score of 76-10.